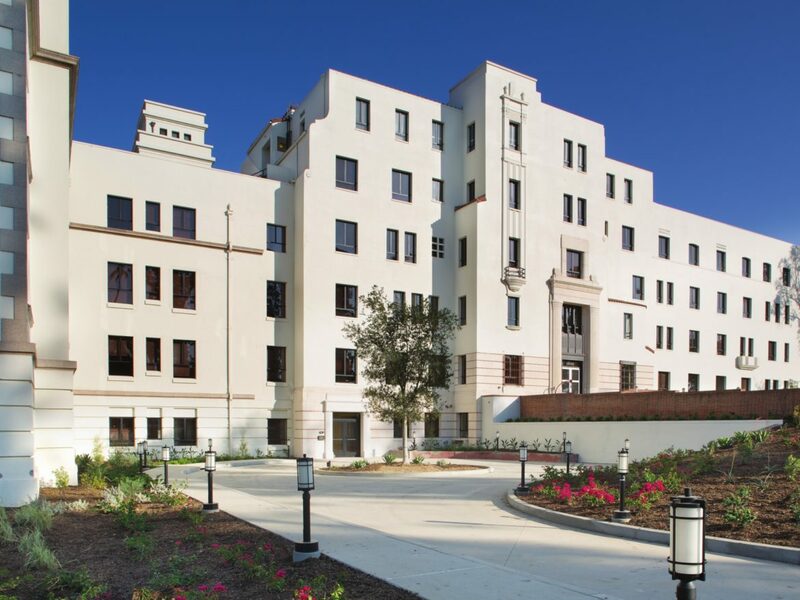 When Juana Monroy moved into Hollenbeck Terrace in the Boyle Heights neighborhood of Los Angeles in 2015, she learned that the white, towering senior apartment building was once a busy hospital that had appeared in dozens of movies and television shows. Then she heard the rumors that the old Linda Vista Community Hospital building was haunted. “I was a little scared,” said Monroy, 60. But she hasn’t seen a ghost yet, and now she loves living in a building with such history. “It’s gorgeous,” she said. Across the country, hospitals that have shut their doors are coming back to life in various ways: affordable senior housing in Los Angeles, luxurious multimillion-dollar condominiums in New York’s Greenwich Village, a historic hotel in Santa Fe, N.M.